This year, I had the opportunity to wander the festival with my dear friend, Amy, who just reached the 20 week mark on Saturday. I looked up online how large the baby should be by now. The powder monkey is approximately as long as a banana! That blows my mind. I only found out the powder monkey (Amy’s name for the baby) existed a few months ago, and already he/she is the size of a banana! I also enjoy watching the wandering minstrels as they meander around the festival. And of course, I make it a point to support the belly dance community while I’m there. Shortly after watching a performance by some of my fellow ATS (American Tribal Style) belly dance sisters, I had parted ways with Amy and was wandering back down the hill when I came upon a little girl. She was obviously frustrated and on the verge of tears. “Are you okay,?” I asked. I told her that we should go to the information booth and find a staff member who can help us find her mommy. At first she agreed to give it a try, but then she pulled away from me. I didn’t want to pick the child up and cause a scene when she obviously was so close to crying, so I just followed her. A woman eating a funnel cake walked out of the Frodo Hill observatory only to be confronted by this little girl. “Can you tell me where my mommy is?” The woman just looked at her stunned and then at me. “She’s lost,” I replied to the woman’s unasked question. The woman eating the funnel cake just walked away, but the little girl was on the move again. We walked around a building, and she must have spied her mom because she took off faster than I could follow. There was just a tiny bit of accusation in her voice. I followed her statement by explaining she’d been wandering the festival asking people if they knew where her mother was. The woman in the bee costume began shouting at the little girl, probably out of embarrassment, that she had told the child that they were by the Pixie Post Office, and why hadn’t she remembered that? All of the blame for the child’s situation was now squarely on a five-year-old’s shoulders. I just walked away. No one thanked me. No one yelled at me. But, I was struck by the situation; how much like that child I am in my pursuit of being a mother. She, naively, with no modesty and the utmost faith that someone could make it happen, walked right up to strangers and asked them if they could help her find her mommy. 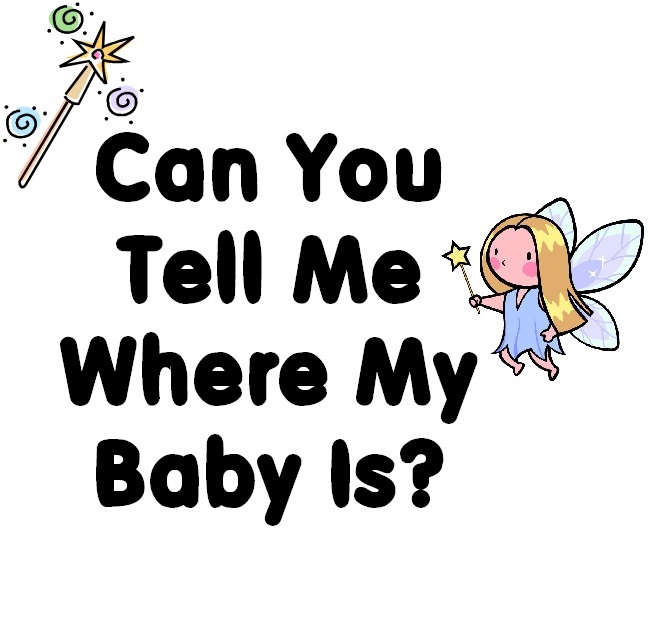 And that is how I feel when I go to the doctor’s office, take another pregnancy test that comes up negative, inject myself with a drug to induce ovulation– can you help me find my baby? Someone has to be able to help me with my situation. They just have to. There’s a sense of desperation to my predicament. Floundering in the waters that others navigate so surely. Maybe my baby is by the Pixie Post Office too, and I just forgot where that is for a moment. Perhaps my baby was delivered to the wrong address. The stork got lost. He or she might have been stolen by The Goblin King. I will never forgive you, Jareth. However, thanks to my efforts in the It Will Happen experiment I also have the same utter conviction that little girl had. When I want to give up, I realize that my baby is out there. Maybe he or she will not come from my body, but we are going to find each other. I want to believe that the child meant to be mine is looking for me just as much as I am looking for him/her. We haven’t found each other yet, but we will. It will happen. Maybe a kind soul will help me on my way. Or perhaps a hint of magic will carry on the breeze and bring us together with a piece of vital information. And the potential of a tiny spark igniting in my womb is still a possibility. There are many ways that I might become a mother. But I have to have faith. Though, a little help from the fairies wouldn’t be amiss. 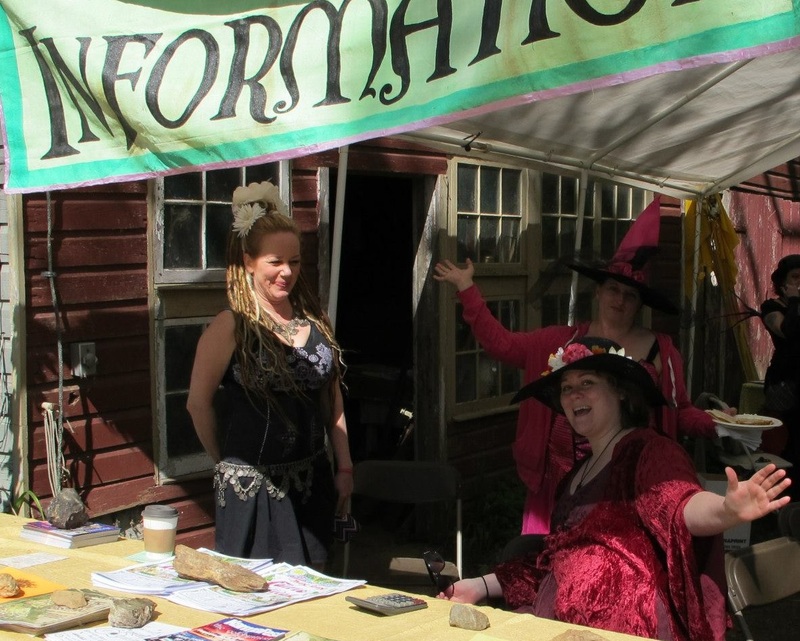 The Fairie Festival is held in the first weekend of May to celebrate May Day. Some folks may call it Beltane. The holiday marks the halfway point between the spring equinox and the summer solstice. No matter what you call it, ancient cultures associated this time of year with fertility and new growth. Who am I to break with tradition? That’s me with the flowers on my hat. Hey, some fairies have to avoid sunburns. Sweetie that little baby will find you. That was such a heartfelt bit of writing.